What natural treatments for anxiety are there? You are here: Home > Panic Attack and Anxiety Articles > What natural treatments for anxiety are there? More and more people are looking for natural treatments to relieve the symptoms of anxiety. Sleeplessness, panic attacks and inability to think clearly, prevent people from living life as they used to. Some will go straight to a doctor to seek help from drugs, but natural treatments for anxiety are becoming are the preferred choice for many. Years ago help was found not just in natural remedies but in the form of care and guidance from family and members of community. In the East meditation, yoga, herbal medicines and Tai chi were regularly used to bring balance to the mind and body. Remedies were made from trees and flowers and knowledge of how to use them was widespread. But the break down of the extended family and the availability of modern synthetic drugs has made medication seem like the only option. The UK's National Institute for Clinical Excellence guidelines now advises doctors not to prescribe antidepressants as the first treatment option. Because other types of therapeutic intervention such as counseling has shown to make more people feel better quicker. What do I treat first? Is it the mind or body causing the problem? It is a bit like a chicken and egg situation, worrying thoughts can make you feel anxious, and the body can produce certain chemicals' that give rise to feeling like you are on an and emotional roller coaster. That's why you will benefit from looking at help for both. A visit to your doctors is a good starting point as anxiety can be caused by illness. But once you have been checked out, look at the various other options that can get you on the road to feeling back on track once again. If your car broke down you would check the basics like petrol and oil before you booked an expensive overhaul. Same goes for a human, when things go wrong check the basics. Does your system get the nourishment that it needs to cope with the daily demands that are placed upon it? Are you devoting all of your time and energy to work? Take a look at Panic Attacks and Your Basic Human Needs. Your time spent here will highlight some of the issues you can address to help you on the road to feeling calmer. Short term we are made to be able to deal with the effects of stress, but long term it causes havoc with the immune system, digestion and sleep. It prevents your body producing all the beneficial chemicals like endorphin and serotonin. They are vital for a healthy relaxed emotional life and physical well being. Cut out coffee for a while, it is highly stimulating and that adds to the load that your body has to deal with. Ever had those hyper moments then dipped like a roller coaster into exhaustion? Try eating regularly through out the day. Start with a protein rich breakfast, and graze through the day. Avoid to many carbohydrates, biscuits, cakes, pasta and potatoes. This will ensure that you keep your blood sugars that control your energy levels stable. Eat oily fish as often as you can, Granny was right! Supplement your diet with a vitamin and mineral supplement and fish oils. Magnesium and the B group of vitamins can support you when feeling frazzled. For more information take a look at the books and websites by leading nutritionists Ian Marber (The food Doctor) and Patrick Holford. Massage. There are many different types of massage varying from a tradition Swedish sports massage to one using hot stones! A friend described a recent massage as 'having the stressed rinsed right away from my body.' The masseuse will move their hands gently sometimes firmly across the skin and into the muscles, this has a soothing effect. Acupuncture. An ancient Eastern tradition of inserting needles into meridian or energy lines to manipulate the flow of good energy. Regular treatment for a few weeks will be recommended, though you should feel some benefit immediately. Shiatsu. Works on the same principles as acupuncture, but the practitioner uses their hands to put pressure on certain points. This is usually done through clothes. The best drug in the world! Take a walk in nature, swimming or cycling, these are some of the many different ways to get that body moving. While you exert yourself your body produces powerful chemicals that help you feel more motivated, relaxed and energised. Get into the habit of a daily dose. Choose the right one. Research shows that continually reflecting on the past does not provide solutions for the future. For some people it will make them feel worse. Choose a counselor that works in a solution orientated way, if you suspect that your anxiety is because of a past trauma you keep reflecting on make sure that they know how to use the Visual Kinesthetic Dissociation technique. Are different ways of calming the mind, this sends reassuring chemical messages to the body. Regular practice will quieten that ongoing chatter of the conscious mind, without those worry buttons being constantly pressed the body will find it has the chance to calm down. 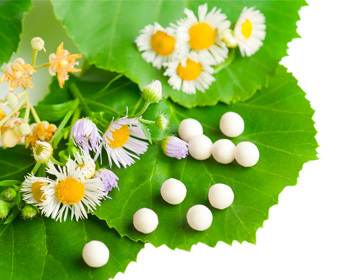 If you have looked for a natural product to cure the symptoms of anxiety then you might find yourself bewildered by the thousands of pills and potions available. Consult a friendly pharmacist if you are already on antidepressants. Herbs are powerful and you need to make sure that they don't react with your present medication. Take special care with St Johns Wort.There are some well known relaxants and sleep aids that use valerian and passiflora, mild cases of anxiety may benefit from these. The key to treating anxiety naturally is to quieten worrying thoughts and surges in blood sugar that power the body to produce chemicals that make you feel anxious. Get power over those thoughts. Learn self hypnosis now. Fill in the gaps of those missing basic needs. Eat regularly and healthily, you might not feel like it at first, but little and often is the key to a steady flow of energy that the mind and body can draw from in a calm way. Cut out stimulants for a while, they just add to the work that your exhausted body has to do. Get that body moving, shape up the mind as well as the body.